Section 1. 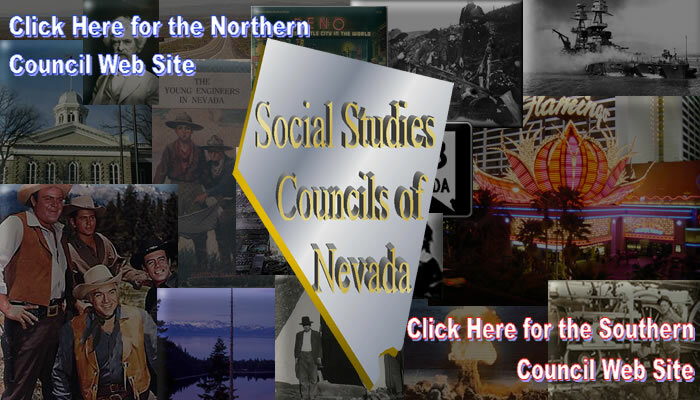 This association shall be known as Northern Nevada Council for the Social Studies, and hereafter will be known as NNCSS. The term “social studies” is used to include the social science disciplines and those areas of inquiry which relate to the role of the individual in a democratic society designed to protect his and her integrity and dignity and which are concerned with the understanding and solution of problems dealing with social issues and human relationships. The NNCSS is an affiliated group under the National Council for the Social Studies (NCSS). Section 1. The council-wide leadership will be composed of an Executive Council that shall be responsible for the operation of the affiliated council. The Executive Council is responsible for the overall policy of the NNCSS and has the power to create all committees, events, and publications as are deemed necessary. The Executive Council will consist of nine elected officers, elected yearly by the NNCSS membership. The elective officers of the NNCSS shall be chosen from the membership by a ballot vote to be conducted on 1 June of each year either in person or by mail ballot. The Executive Council shall include a President; a President Elect; a Vice President-Elementary School; a Vice President-Middle School/Junior High School; a Vice President-High School; a Vice President-Graduate/Undergraduate; a Vice President-Collegiate/Retired; a Secretary; and a Treasurer. Officers shall assume office following their election and shall hold their respective offices for the term of one year. If a vacancy occurs in the position of President, the President Elect will assume the office of President. If a vacancy occurs in the position of a Vice President, Secretary, or Treasurer, the remaining members of the Executive Council will vote to appoint an officer to fill the vacant position until the next yearly election. If an elected member of the Executive Council is found not fulfilling the requirements or duties of his/her office, the Executive Council may vote to remove the person through a simple majority of members (5). Section 2. The President shall have general charge of the affairs of the NNCSS and by virtue of the office shall chair the Executive Council. It shall be the obligation of the president to promote in all suitable ways the best interests of the NNCSS and assume such duties as the Executive Council requires. The requirements for holding the office of President are to be a current teacher in a Northern Nevada school or a retired teacher. Section 3. The President Elect shall oversee the Nevada Social Studies of the Year award nomination and selection process, as well as assume such duties as the President or the Executive Council requires. The requirements for holding the office of President Elect are to be a current teacher in a Northern Nevada school or a retired teacher. Section 4. Each Vice-President shall be responsible for advocating for their specific field/level they represent and bringing recommendations or issues to the attention or action of the Executive Council, as well as assume such duties as the President or the Executive Council requires. The requirements for holding the office of Vice-President in Elementary, Middle and high School are to be a current teacher in a Northern Nevada school or a retired teacher. The requirements for holding the office of Vice-President Graduate/Undergraduate are to be currently enrolled in a professional teaching program at an accredited university and to be at least a half-time student while holding office. The requirements for holding the office of Vice-President Collegiate/Retired are to be a current faculty educator in a Northern Nevada college or university or a retired teacher. Section 5. The Secretary shall be responsible for taking minutes of all Executive Council meetings and providing them for viewing by all NNCSS members, preparing the yearly election ballot, processing new member and renewal applications, and assume such duties as the President or the Executive Council requires. Section 6. The Treasurer shall be responsible for maintaining the council’s bank accounts and budget, receive and disburse funds as directed by the Executive Council, and assume such duties as the President or the Executive Council requires. The requirements for holding the office of Treasurer are to be a current teacher in a Northern Nevada school or a retired teacher. Section 1. Any person having a membership with the NCSS may join as a member of the Northern Nevada Council and is eligible to vote for elective officers of the council, hold office, or be appointed to committees. Any college student having a professional relationship with the NCSS may join as a comprehensive, regular, or student member of the National Council and is eligible to vote for elective officers of the council, hold office, or be appointed to committees. All membership requirements are listed at the national level and must be adhered to. Section 2. The Executive Council shall determine the annual dues for the affiliated council’s membership. The payment of these dues entitles members to a year’s subscription to the official NNCSS newsletter and to such other publications as the Executive Council shall determine. It also entitles them to attend all public meetings, to vote for elective officers of the council, to hold the offices to which they may be appointed or elected, and receive discounts at NNCSS sponsored conferences/events. Section 3. The date and place of the annual meeting shall be determined by the Executive Council and announced to the NNCSS membership before the meeting is held. The agenda for meetings of the Executive Council shall be prepared by the President. The Secretary shall be responsible for its printing and distribution at the meetings held. Minutes of the meeting will be taken by the secretary and shall be made available to NNCSS membership. Section 4. At least annually the NNCSS will publish a newsletter for distribution to all current NNCSS members. The President shall oversee its assembly and publication. If a majority of current NNCSS members vote for the proposed amendment the change will go into effect immediately. The Secretary will then make the appropriate change to the existing NNCSS Constitution and post the change for all members to access within a 30-day period. Section 1. No part of the net earnings of the Council shall inure to the benefit of any member, officer, or any private individual (except that reasonable compensation may be paid for services rendered in connection with one or more of its purposes), and no member, officer, or any private individual shall be entitled to share in the distribution of any of the assets of the Council, after payment of debts and obligations, shall be transferred to any successor social studies organizations as designated by the Council of directors at the time of dissolution, provided these organizations are then exempt from federal income taxes as a charitable and/or educational organization. If no such organizations exist, the net assets shall be transferred to any other social studies organization of charity the Executive Council deems deserving.